Opening jump rings so that they stay on securely is easy. There is a method to opening them properly to make sure that you do not leave any gaps for attached pieces to accidentaly slip out. 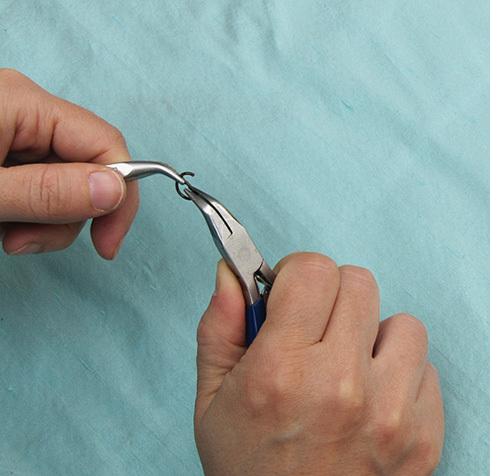 1) Using bent nose pliers make sure when opening your ring to pull one end toward you and one end away from you. This is the proper method. 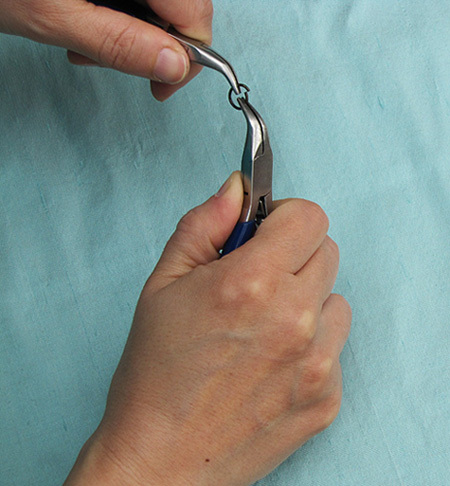 Pulling a jump ring apart like a clam shell will only result in a gap that will never close. 2) When you close your ring, simply pull the two ends back towards each other. 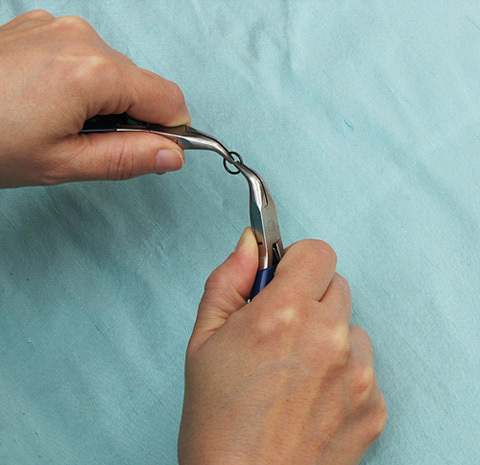 3) As you bring the two ends together you should feel the tips graze each other. Now you know your jump ring is secure!